Our #My200BirdYear sponsors, CJ Wildlife and The Birders Store, are giving away some amazing prizes to one lucky winner! Terms & Conditions: The prize draw opens at 09:00 15th April 2019 and closes at 09:00 25th April 2019. The prize draw is open to UK residents ages 18 and over. Our employees (and their family members) or employees of any company involved in the competition, including the prize provider, must not enter. 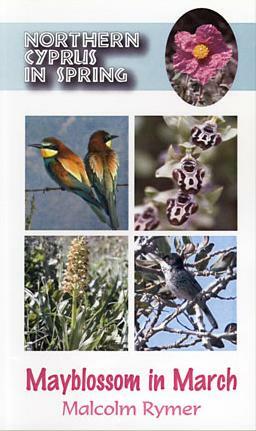 The prize consists of a Malcolm Rymer Northern Cyprus in Spring Birding DVD PLUS Mealworm Munchies (Pack contains 6 Fat Balls with Mealworms, a jar of Peanut Butter for Birds with Mealworms, 100g Dried Mealworms and a whole Mealworm Cocunut). The winner will be chosen by electronic random draw on 25h April and will be notified by email within ten days of the closing date and has 14 days to respond before an alternative winner is chosen. 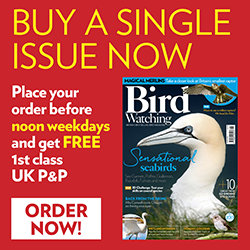 Entry is free and is only found online at birdwatching.co.uk/aprilgiveaway no purchase necessary. Full terms and conditions can be found here.